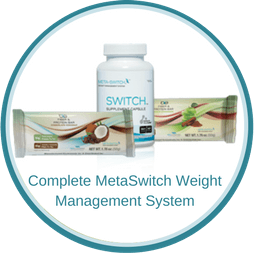 MetaSwitch Weight Loss Wakes Up Your Sleepy Metabolism Without Raising Your Heart Rate Or Blood Pressure! Did we mention your discount options yet? Switch – The Metabolic Pill That Wakes Up Your Sleepy Fat Cells! 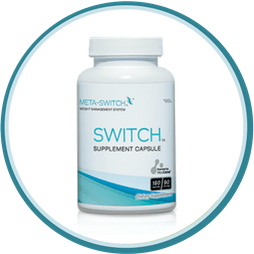 Switch is a metabolic enhancement pill designed to get your metabolism working the way it was meant to. It wakes up the switch to the recently discovered AMPK enzyme, so you’re burning more calories throughout the whole day. The wonderful thing is that it does this without raising your heart rate or your blood pressure and without any stimulants. AMPK* is connected to the area of your brain that regulates appetite, hunger and body weight. Be Fiber & Protein Bars: Reduce Cravings & Burn More Fat! When it comes to burning fat, your body needs a balance of both soluble and insoluble fiber. Both of which are important to help a healthy digestive system and eliminate those toxins! 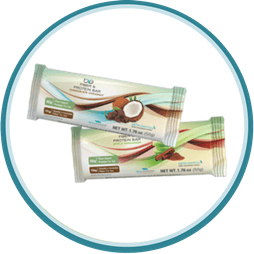 Be Bars contain up to 13 grams of the ideal blend of soluble and insoluble fiber. As well as 10 grams of plant based protein. A unique feature of the Meta-Switch pills, is the RiboCeine molecule. Riboceine literally acts like flypaper, trapping toxins and escorting them out of your body. So that as you’re losing weight, your body is detoxifying. When you begin to lose weight, your body can start to release all kinds of heavy metals, solvents, & pesticides from your fat cells. And when your liver can’t effectively eliminate certain chemicals, it simply stores them in your fatty tissues. Most people don’t realize this, so when they start losing weight, they may experience brain fog and fatigue, without understanding what’s going on. The detoxifying effects of Riboceine, are built in to the Meta Switch program. (8 day supply in each box). 1 bottle (30 days) of Meta-Switch Metabolic Enhancer Supplement. 4 boxes of Be Fiber and Protein Bars (8 bars in each box). Want Detailed Info On Be Bars? Want Detailed Info On Switch Pills? Other Ingredients: Vegetable Capsules, Microcrystalline Cellulose, Magnesium Stearate, Silicon Dioxide. Take two capsules three times daily, 30 minutes before each meal with 12 ounces (350 mL) of water. That’s one and a half to two glasses of water. Your satisfaction is our priority! That’s why a 30 day money-back guarantee is offered to all Max International customers. If for any reason you are not completely satisfied with Meta Switch, simply return the unused portion of the product to Max for a full refund (less shipping charges and fees) within 30 days from the date of purchase.